The Red-crested Turaco is a native of Central Africa and looks like some kind of delicious confection. According to SeaWorld: Turacos are the only birds to possess true red and green color. When you look at most birds, the color you are seeing is a reflection produced by the feather structure. 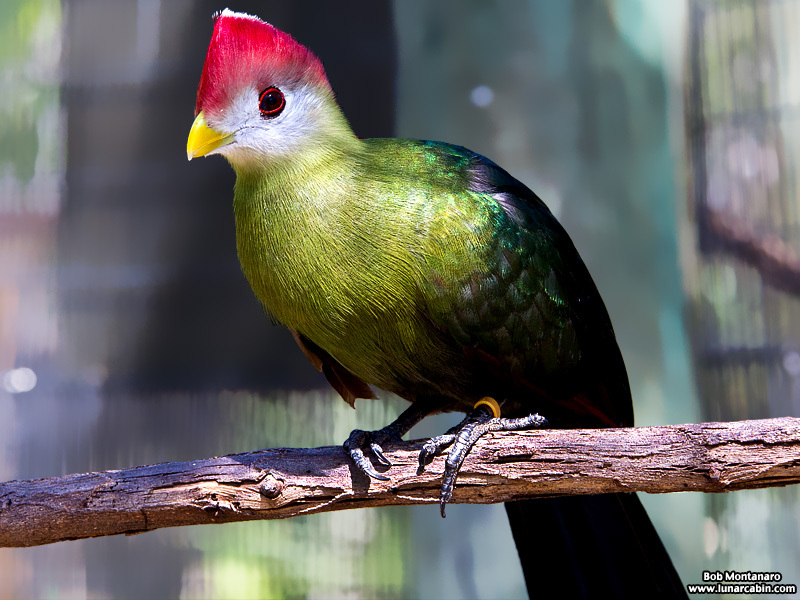 The turaco’s red pigment (turacin) and green pigment (turacoverdin) both contain copper. In fact, if you stirred a glass of water with a red turaco feather, the water would turn pink! In museum species, the pigments deepen with age because the copper begins to oxidize.